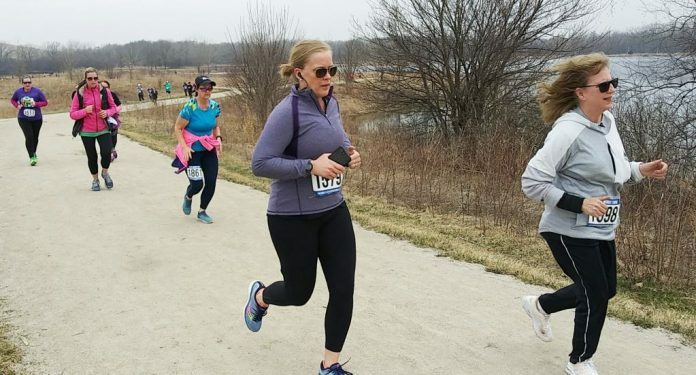 The seventh annual April Fools 5k Run in Bloomindale, Illinois proved to be a well-organized, positive, and fun community event. 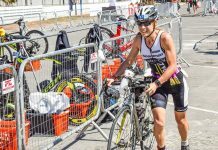 One of the best attributes of this race is the positive and friendly atmosphere of the staff and the overall race itself. 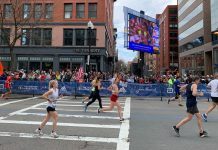 Nearly 500 runners and walkers participated in the race, ranging in age from 7 to 94. The 5k race and 400-meter kids dash help support the Trinity Adult Care Program in Roselle, Ill. The April Fools 5k is a low-key event with good organization and plenty of volunteer enthusiasm. Easy and quick packet pickup was offered on race morning as well as plentiful parking just a short distance away. 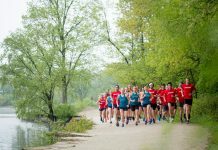 The event started at 9: a.m. in the back part of the Meijer south parking lot and runners headed straight into the Mallard Lake Forest Preserve. The beautiful course made a loop through the park with scenic trees and the lake on a constructed running path. The course was mostly flat with a few slight inclines. Runners made a big loop and came back into the original start line. Colin Micow, age 29 of Naperville, won the race with a time of 15:44. Christopher Schiel, age 36 of Schaumburg placed second running a time of 17:56. Overall Female winner was Tara Hoeft-Runde, age 42 of Roselle with a time of 21:34. Elena Shemyakin, age 56 of Geneva, finished second for the women. Overall winners received cash prizes and the top three finishers in each age group won medals. Every participant received a colorful April Fools 5k medal, a purple or green race shirt, and a fun goody bag. Before the 5k, there was a 400 m kids dash. After the race, plenty of water, snacks, and bananas were provided for all the runners. This is a great, spring race full of color, great scenery, and fun! The organizers do a wonderful job of putting on this event year after year. It has a lot of community involvement and strong local sponsorship. I would recommend this race to anyone who enjoys a picturesque course and a pleasant running or walking experience.